Give us a prequel you damn dirty Apes! Twentieth Century Fox isn’t monkeying around. 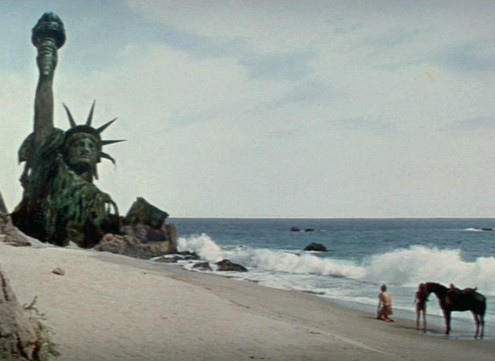 June 24, 2011 will see a reboot/prequel to the long-running Planet of the Apes”franchise to be directed by Rupert Wyatt. Tentatively titled “Rise of the Apes,” the film will be set in modern-day San Francisco where genetic experiments give rise to super-intelligent apes leading to a war against humans. Amanda Silver and Rick Jaffa will pen the screenplay which will be brought to life on the big screen using Peter Jackson’s visual effects company. This marks the first time in the series that motion-capture CGI will be used instead of makeup and costumes to render the petulant primates. While this course is questionable, looking at some past results of opting for computer generated images over makeup, fans should at least be happy to see Tim Burton’s name nowhere near the project. “Rise of the Apes” will launch off against Pixar’s Cars 2.